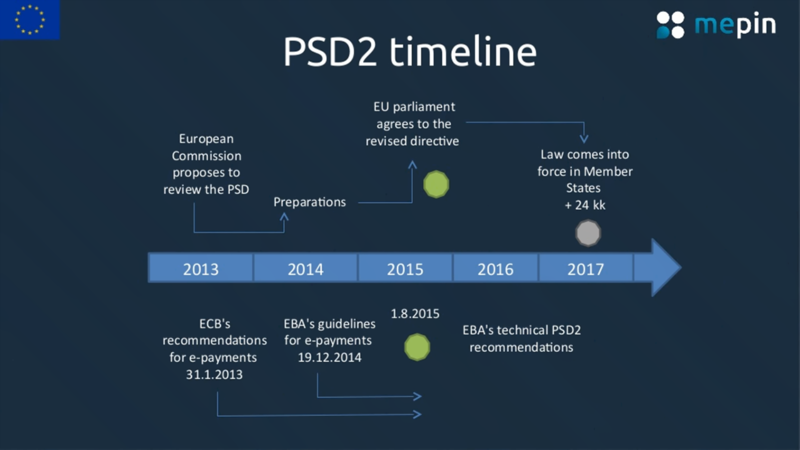 As January 2018 inches closer, financial institutions and fintech startups across Europe have PSD2 on their minds. The legislation introduced by the European Commission is set to open consumer financial data to third-party providers through APIs, creating both opportunities and hurdles in the financial ecosystem. Not only is PSD2 a major step towards Open Banking and a unified European financial market, but it is priming the stage for innovation in Europe like never before. Global investments in fintech have increased more than tenfold the last five years and are estimated to exceed $150 billion in the next 3–5 years. The possibilities for innovation and process improvement in the wake of PSD2 signify increased market opportunities, consumer choice within the ecosystem and competition among businesses and banks for customer acquisition and loyalty. Nevertheless, the directive’s unspecific language coupled with changing attitudes about technology have prevented truly reliable predictions of what will result from PSD2 when it comes to the financial market. Possible scenarios for Europe in the wake of PSD2 include a free, open market; an open, domestic market; maintenance of the status quo; or big banks dominating after build solutions from their data before it becomes available to others (known as the “first mover advantage”).